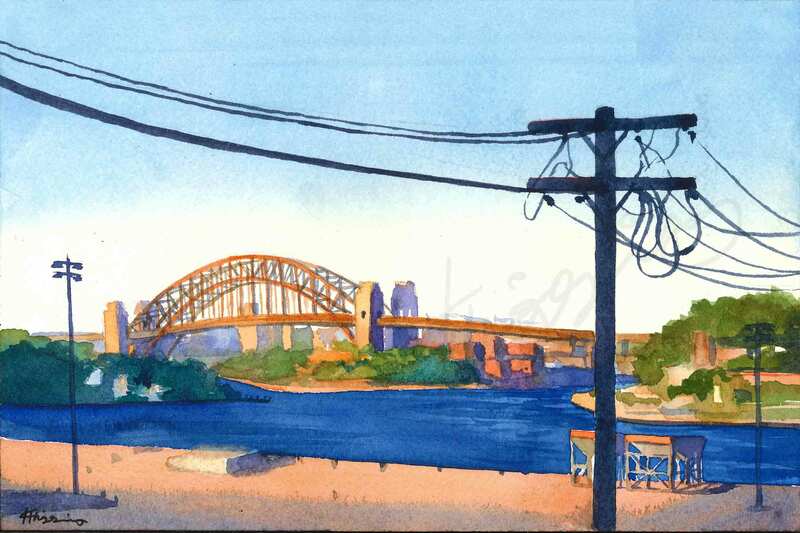 A watercolour painting that captures the view from the Balmain, NSW White Bay worksite to the Harbour Bridge. Sunset casts a copper tone on the bridge contrasted against dark telephone pole silhouettes. Painted on acid-free cold-press watercolour paper with Winsor and Newton paints.